Back in the ’80s, it was the Community Work Day Program, an organization established by the state of Hawaii to educate the public and increase awareness of the litter problem in the Hawaiian islands as well as other environmental concerns. In 2013, the name was changed to Malama Maui Nui to recognize the organization’s thirty years of service within the islands and the great environmental work by this organization continued. 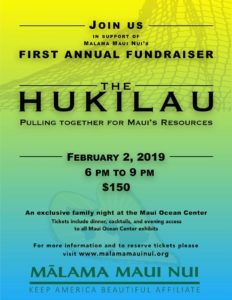 Now, for the first time in all the years of its existence, Malama Maui Nui has established its first fundraiser. 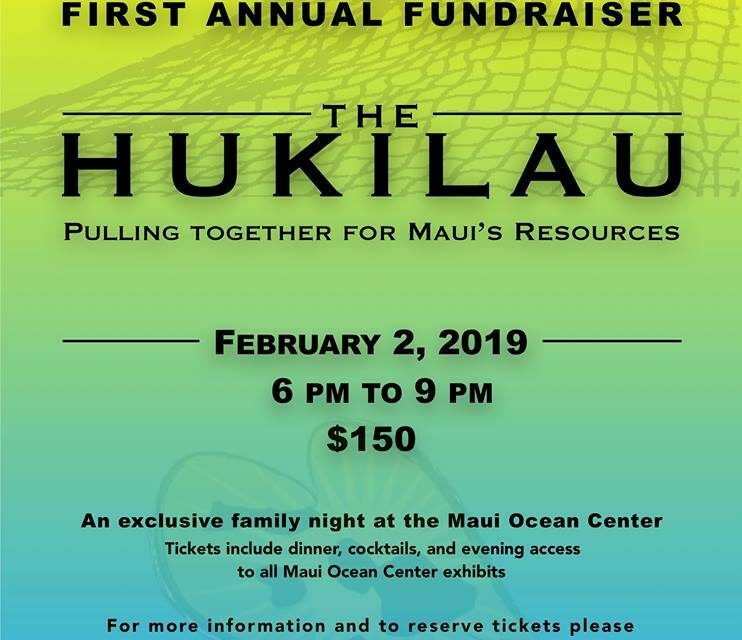 It will be held February 2, 2019 at The Maui Ocean Center (MOC) at Maalaea from 6pm – 9pm. This is NOT a KCA event but we publish the information for the community-at-large because of the great work Malama Maui Nui does all over Maui. Ticket sales end Wednesday, January 30th at noon! If you are interested, please buy your tickets soon. Tickets are available at Squareup.com. If you have any questions, please call Sarah Bryan, founder/consultant of The Makali’i Group, at 808-268-6680 or email her at mclane@makaliigroup.com. PreviousCommission answers YES! EIGHT YEAR EXTENSION?? After several false starts real activity begins at Maui Lu site this Monday! NextFIRST 2019 COUNCIL COMMITTEE MEETING DRAWS NUMEROUS TESTIFIERS: WHO WERE THEY?